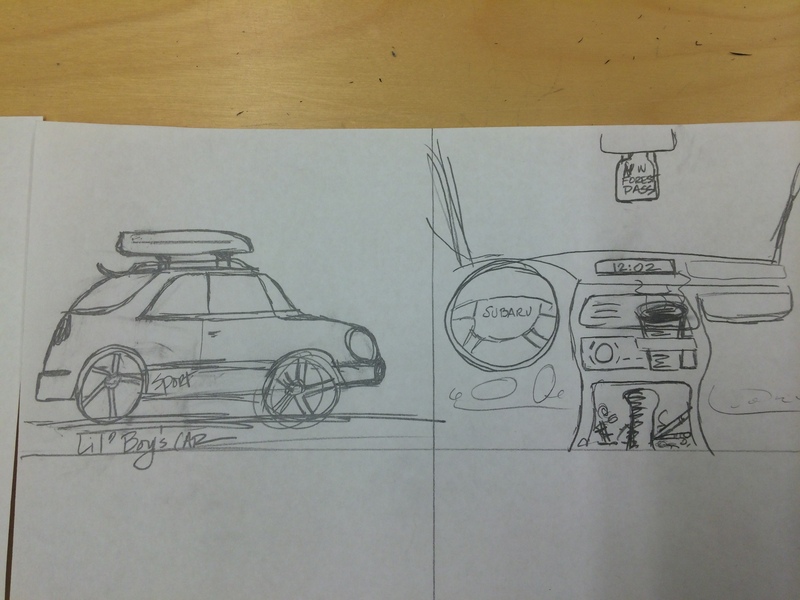 Pencil sketch of Lil’ Boy’s car–inside and out. 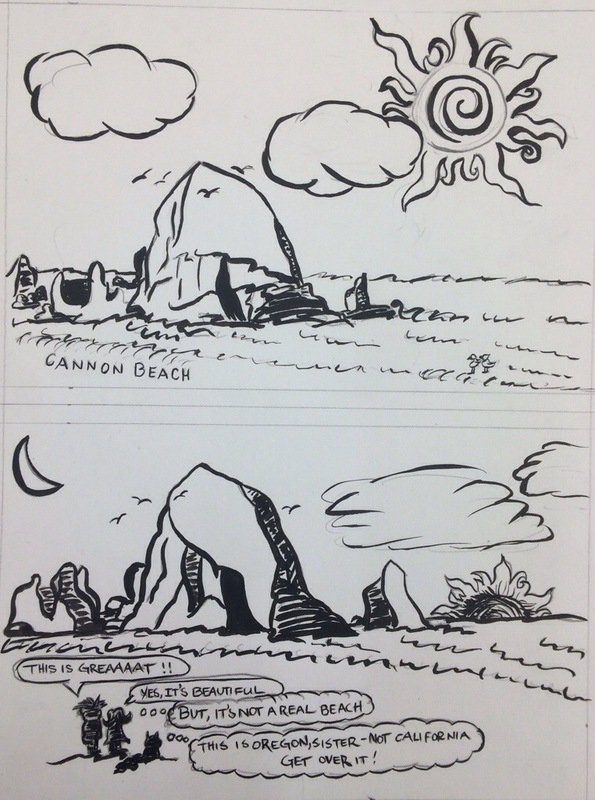 As part of the Cartoon Studio I just attended, we had a segment on world building. What is the environment where the characters do their thing? For my first comic, Lil’ Girl, Lil’ Boy and Black Cat head out on a road trip. Their main world–a Subaru Outback Sport. Very Pacific Northwest! 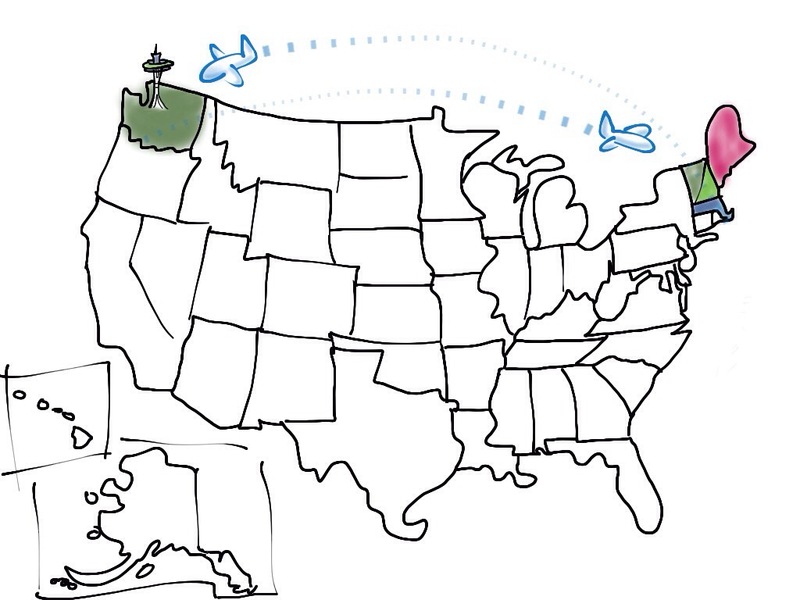 I live in Seattle and the Center for Cartoon Studies is in Vermont. 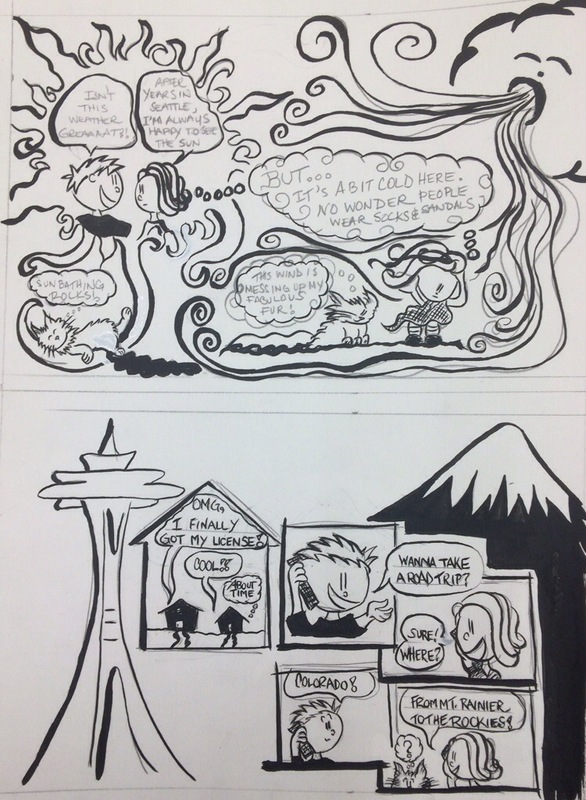 After a week at the Center for Cartoon Studies, I created my first mini-comic– Lil’ Girl Explores the Pacific Northwest. 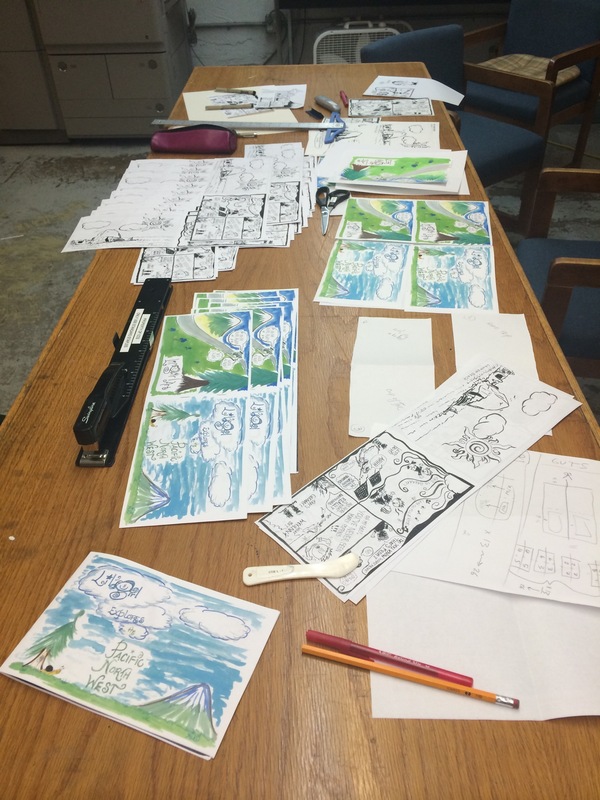 Here is a peak at the production process for putting it all together. 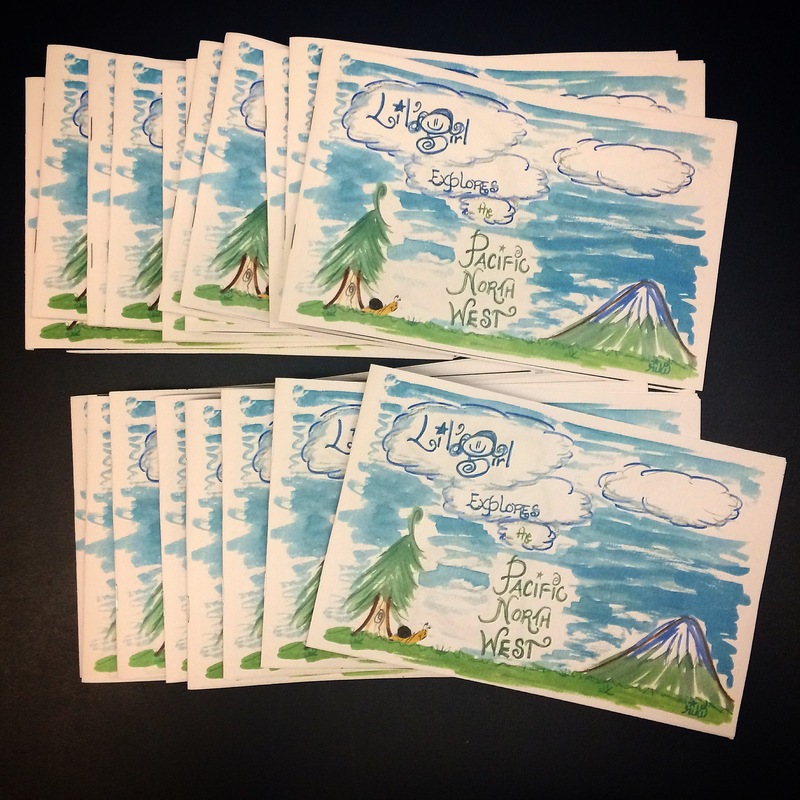 Lettering can express emotion and set tone. 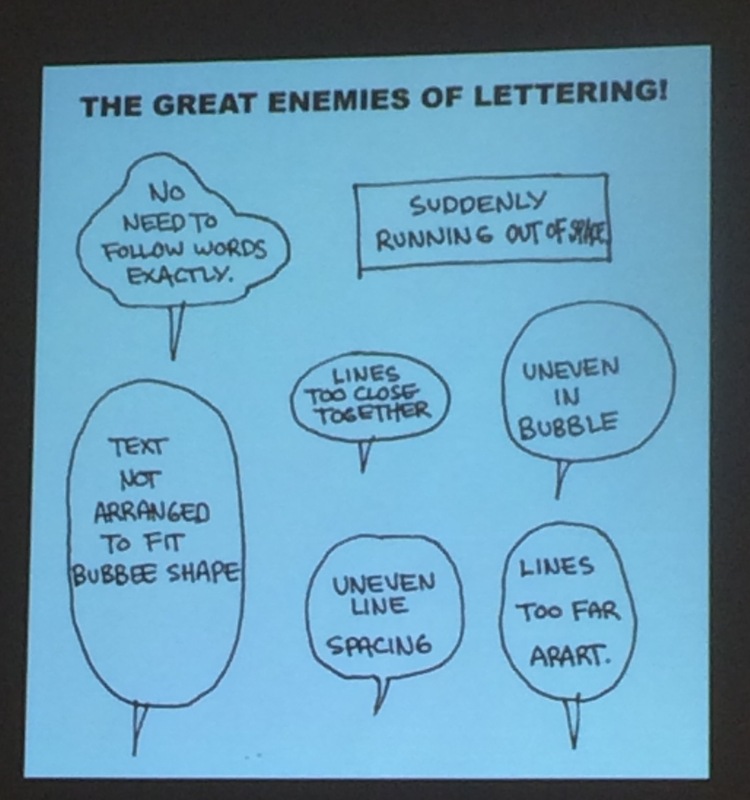 Fonts, size, weight, randomness, evenness (or not), letting space, fluctuations, script vs type-setting. Type out your fonts and text and trace it with the lightbox to get the best of both worlds – consistency and handwriting. Create your own font and use it. Move the fonts with the music, rythm, or wind. Use fonts to point to the next panel. OMG! I have broken every rule of lettering so far. In my opinion, a combination of writing tools is the way to go. I went with the pen and brush yesterday to get a few pages inked. 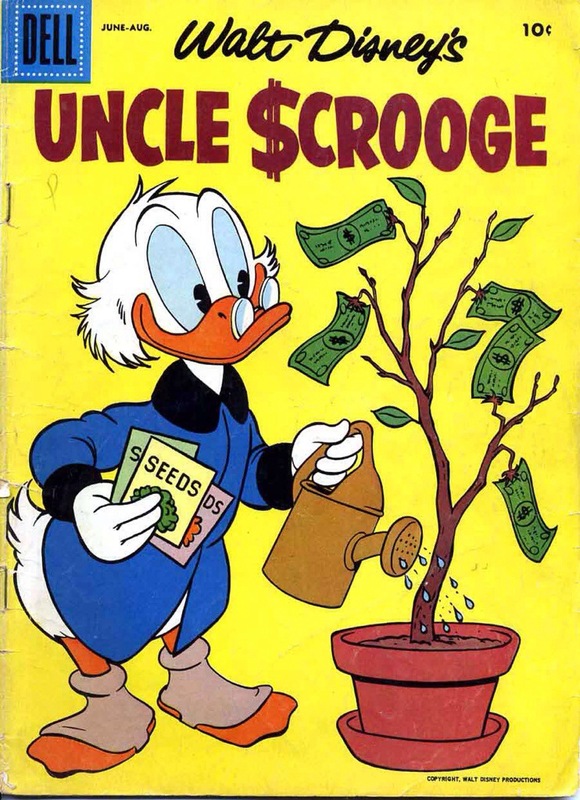 I have a new appreciation for Donald Duck and Uncle $crooge after hearing about the history of these characters’ creator–Carl Barks. 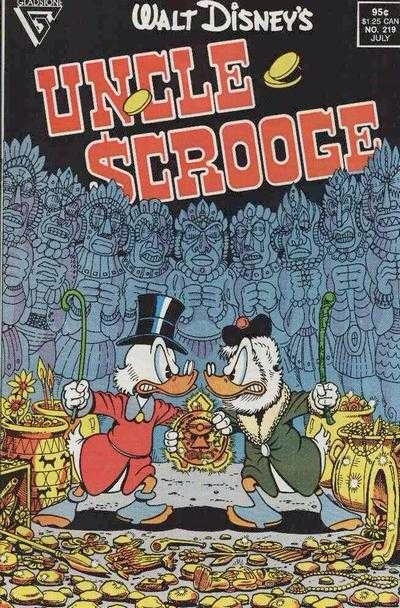 Followed by the history of the next Uncle $crooge artist–Don Rosa and the prized comic Uncle $crooge #219. 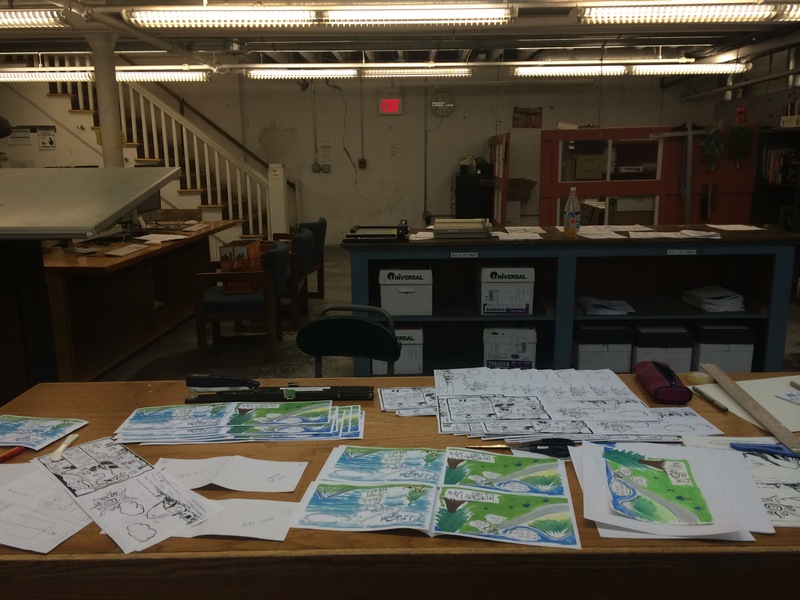 Not all comics are in the traditional black ink and color. Here are some alternatives. Tip of the Day! Basics of Picking Colors!